cosmetic companies: stop the shadiness! it’s 2012 for goodness’ sake! I did it for years without even thinking about it, but now I refuse to patron cosmetic brands with “limited shade selections” or as I see it – why consider a brand that doesn’t consider me? back in the 70s & 80s, it was an accepted thing. 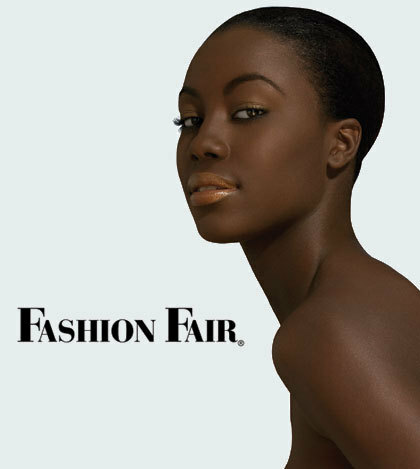 women of color simply chose brands like Fashion Fair for their cosmetic needs. Fashion Fair is black-owned so all of their products are made with women of color in mind. but as the beauty industry expanded & more brands entered the game, more attention was paid to the black woman’s dollar & how much we spend on beauty. throughout history, despite what may have plagued us – no money, little money, family drama, work drama – somehow we found a way to make a dollar out of fifteen cents while keeping our skin and hair looking fab at the same time. cosmetic companies started to take notice and as a result expanded their foundation shades to meet a wider array of skin tones… as they should. I find it EXTREMELY odd. when brands offer only one darker shade option labeled as “Deep”, or “Tan” in an attempt to meet the varying skin tones of darker complexions, I wonder why, when they offer several for lighter complexions ranging from porcelain to ivory to light and so on, but only one shade to meet the needs of complexions from caramel to mocha to mahogany and ebony? I consider it smart business to take all shades into consideration in order to become a staple in the beauty kits of everyday women & the professional artist alike. It’s not just black women who need a variety of shade choices but latina, asian, indian and biracial women everywhere. so that’s my bone to pick with cosmetic companies who choose to limit shade selections. by limiting choices, you’re limiting sales and the ability to expand your bottom line. why would you want to make less money? If a brand has limited shades, I don’t bother trying out anything else in their line-up so it’s a loss for them. I know I’m not the only woman who does this so when you multiply it by hundreds or even thousands, it adds up to a huge monetary loss of potential earnings. so what say you? how do you feel about brands with limited shade selections? does it matter or do you buy from them anyway? This entry was posted on April 18, 2012 by suite7beautytalk in Beauty, MUSINGS and tagged beauty, Bobbi Brown, Clinique, cosmetics, Fashion Fair, Josie Maran, women of color.